Who's your favorite Wizard of Oz character? Dorothy? Scarecrow? Perhaps the great and powerful Oz himself? My favorite is a character, who, despite decades of watching the film - first on the annual CBS television broadcast in the 1960s, then on VHS, Laserdisc, DVD, and finally Blu-Ray - I have never actually seen. I am talking about my cousin John Ballas. My grandfather's cousin more precisely - but mine too, because that's how those things work - who appeared with dozens of other little people as a Munchkin in the classic 1939 MGM film. And it's not correct to say I have never seen him in the film. I must have. I just didn't know which one he was! Johnny, a native of Brooklyn, NY, got his start in show business in 1919 at the age of 16. 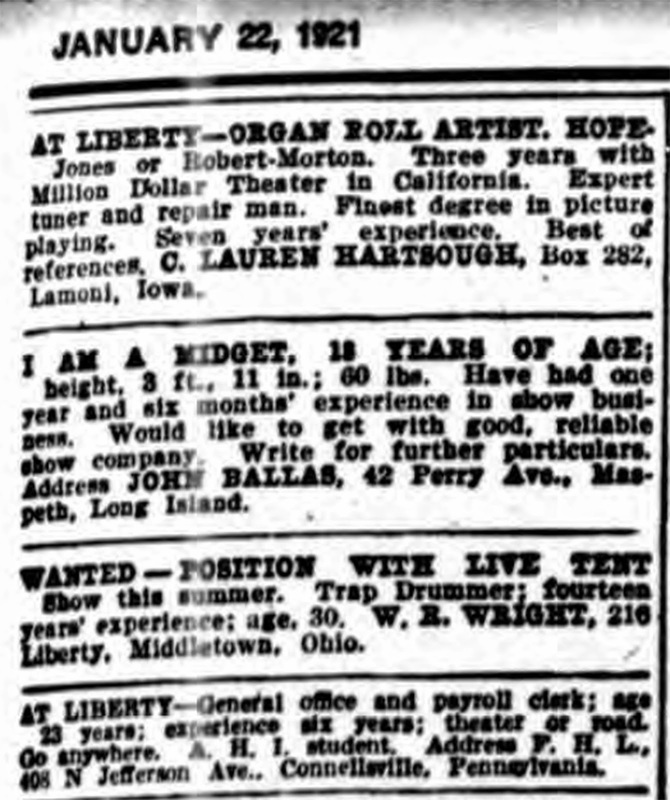 Two years later, probably eager to break out of the Coney Island sideshow world, he placed an ad in Billboard providing prospective employers with his most vital statisitics. I am a midget, 18 years of age, height, 3 ft., 11 in. ; 60 lbs. Have had one year and six months experience in show business. Would like to get with good, reliable show company. 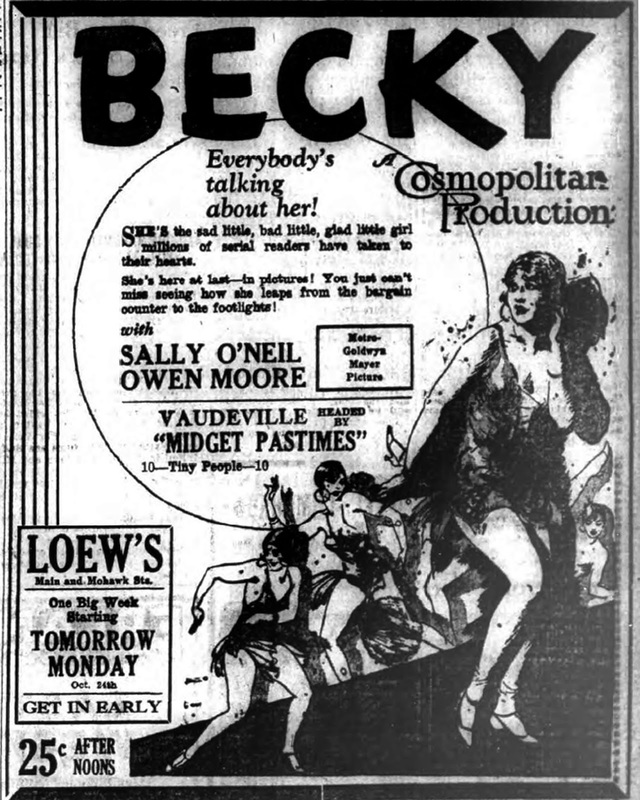 By the mid 1920s, Johnny was working regularly in vaudeville, including a revue called Midgets' Pastime, which included future fellow Munchkins the Hoy Sisters. 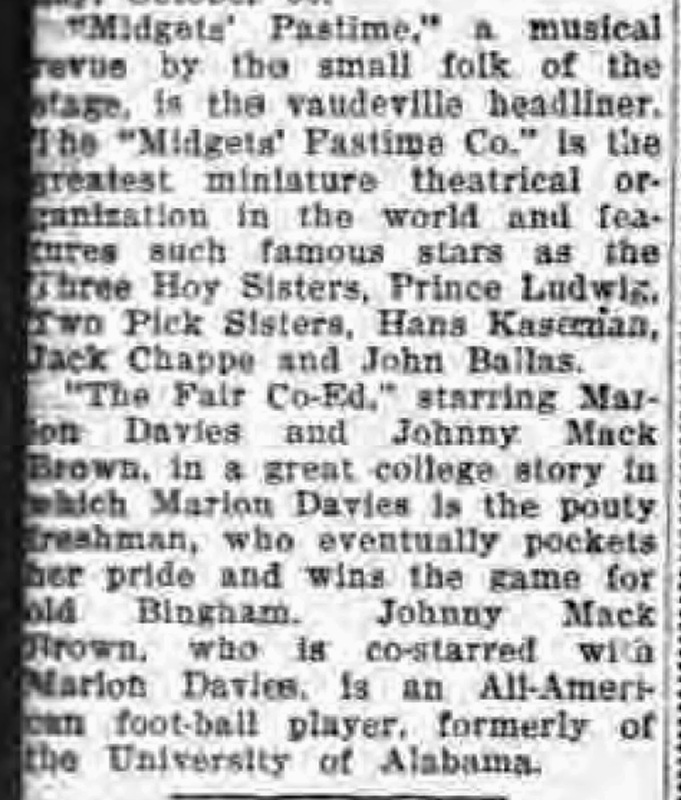 Evidently John Ballas was no small talent (pun intended), and soon graduated to Broadway, appearing in the 1930 revival of Victor Herbert's Babes in Toyland. 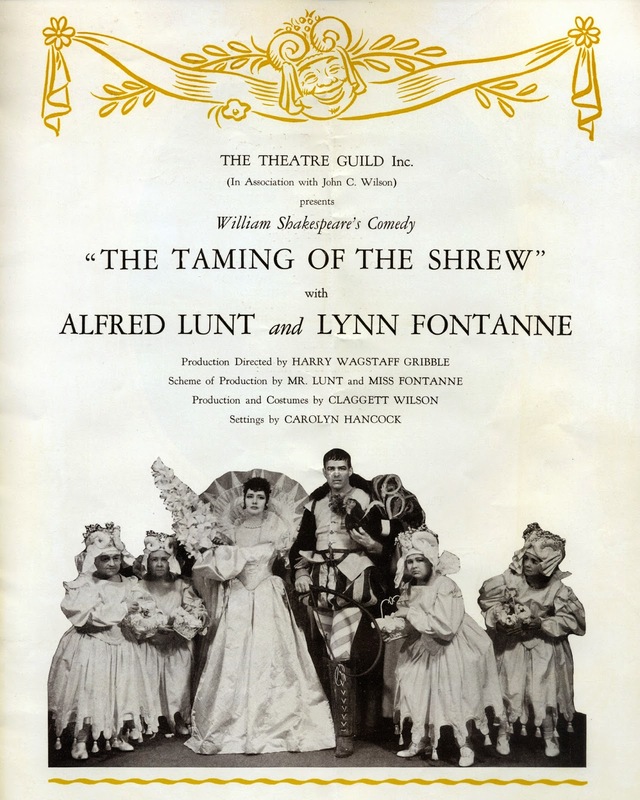 In 1935, Alfred Lunt and Lynn Fontanne had an idea to add dwarfs to Shakespeare's The Taming of the Shrew, and John Ballas was given one of those four unique roles. 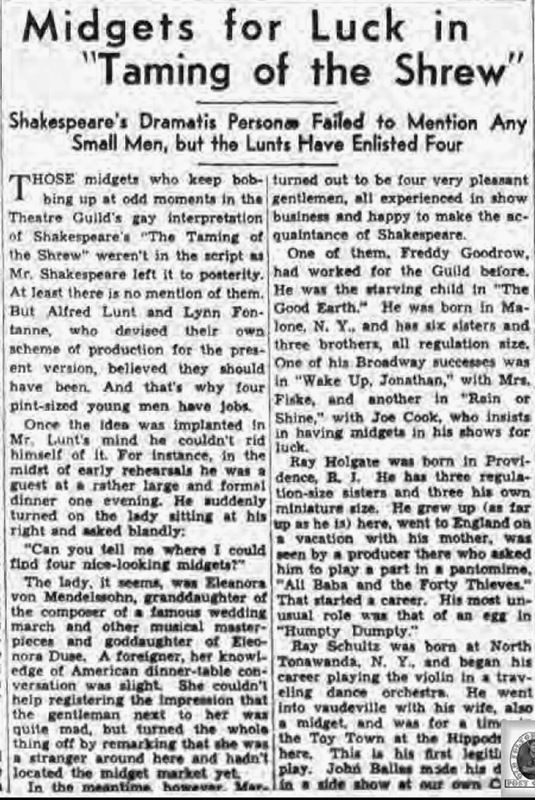 Many of the little people who answered the call for The Wizard of Oz were part of the Singer's Midgets troupe. Others, like John Ballas, were working actors with long resumes. 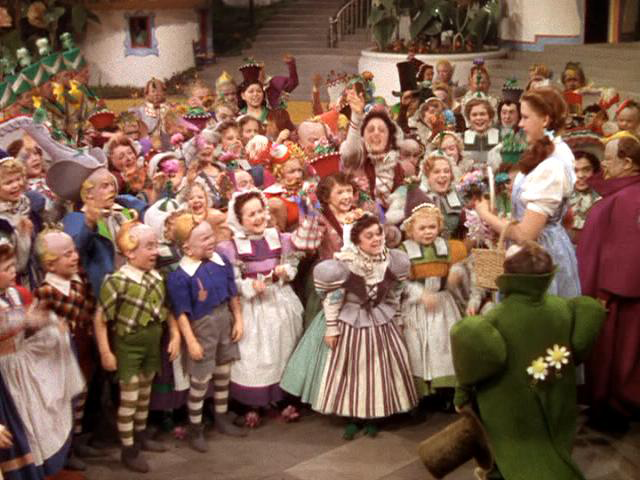 Several were given featured roles in Munchkinland - the Mayor, the Coroner, the Lollipop Guild trio, etc. - but John Ballas was not among them. He was one of the many dozens, spectacularly costumed, but more or less employed in filling out the scenes. 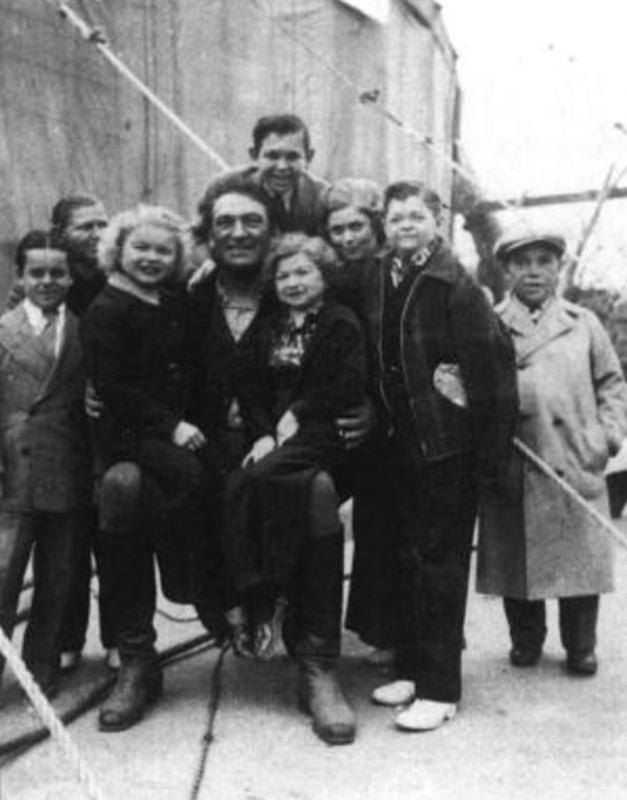 Munchkins with actor Victor McLaglen on the backlot of MGM. John Ballas is second from left. I have only been able to find a couple of photos of my cousin from his Wizard of Oz experience - neither in costume or on the set. Still, I will keep looking for that needle in a Munchkin-land haystack. At nearly four feet tall, he shouldn't be THAT hard to find! Please be sure to "Like" the Gillette on Hillsborough Facebook page. Click here to follow through Facebook. Sugar Maple Celebration....Are We Nuts? Greg is a longtime New Jersey resident and has lived in Hillsborough since 1993. He was elected to the Hillsborough Township Board of Education in 2007 and also serves as chair of the Historic Preservation Commission. He has also served on the Hillsborough-Millstone Municipal Allianceand as chair of the Cultural Arts Commission. Greg and his wife, Patty, have also served as co-chairmen of "Central New Jersey Walk Now for Autism", the local chapter of the international research and awareness organization Autism Speaks. A music major at New York University, Greg spent most of his career in the Entertainment Division of the Six Flags Corporation where he was primarily responsible for writing and producing live educational assembly programs for New Jersey school children. Since 2000, he has been a full-time stay-at-home dad, concentrating on raising his two children, and on community service. Besides his other activities, Greg writes The View From Hillsborough blog for MyCentralJersey.com, which has also been featured over 175 times in The Courier News. Greg's other interests include music, reading, photography, history, and genealogy.